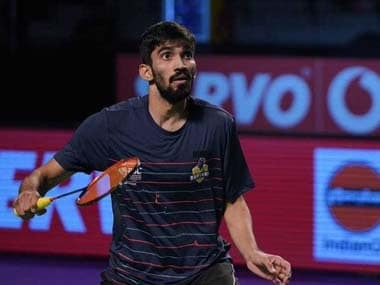 New Delhi: A disappointing 2018 notwithstanding, Indian ace Kidambi Srikanth is eyeing a fruitful return from the India Open World Tour Super 500 that kicks off in the capital on Tuesday. Srikanth, the highest ranked Indian man in the draw, is coming into the event on the back of a title-less season marred with injuries and niggles. After a breakthrough 2017, when he won four Superseries titles, Srikanth has failed to win any trophies. In the 15-month period from January 2018, the 26-year-old has lost nine quarter-finals and two semi-finals, making the final only once — at the Commonwealth Games 2018. Srikanth, however, claimed that he is unperturbed by the lean patch and is looking to get physically and mentally stronger to get back to winning ways. "I am not really desperate. I want to improve physically and mentally. I want to be tough in the toughest of times to win the important points in a match. I want to be more consistent. "I also want to do well at the Olympics. If I can maintain my rank and qualify for the Olympics, keep that momentum up till then, keep improving, keep training hard, I think I'll do well there," he said on the eve of the event. Apart from poor form, Srikanth's fitness has also come under the scanner of late, with the Guntur-born suffering a leg injury at the 2017 Nationals. Since then, his ankle niggles have consistently been his bugbear. "I have had too many injuries, and if I can work on my fitness and get better, I will definitely have a great chance. That is what worked for me in 2017; I was very fit and was able to sustain myself for long matches. In 2018 and early part of 2019, I had some injuries and had to withdraw from a few tournaments," he said. "I have been feeling good now. I carried the ankle injury through the Premier Badminton League, Malaysia Masters, and Indonesia Masters. I have been able to train for three weeks now without a problem, so I am feeling confident," he added. 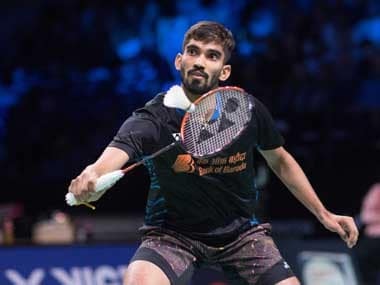 In 2019, Srikanth has played three international tourneys so far — Malaysia Masters, Indonesia Masters, All England Championship — and his campaign has ended at the last-eight stage in every outing. Srikanth admitted that the continuous failures at the knock-out stages have been frustrating, and that he needs to get physically stronger to last long, tough ordeals on court. "The series of quarter-finals that I have played are more irritating; probably a first round or a final will be more pleasing for me. I think I've been able to play consistently well against a few players and then not able to win against few players after a quarter-final or a semi-final. I am working to be physically fit to last one whole week. If I can do well in next 3-4 months leading up to the World Championships and if I can get better, fitter, and tougher, I think I can do really well there," he mused. The Indian will open his campaign against Hong Kong's Wong Wing Ki Vincent, against whom he enjoys a 9-3 career advantage. This includes four consecutive wins in their last five matches, though the Indian was stretched to three games in their most recent encounter in Malaysia. "I think everyone will be a challenge here," Srikanth said. "In the first round, I am playing Wong Wing Ki Vincent. I played him in Malaysia, and it was a very close three games. It's definitely going to be challenging from the very first round. Going forward, the opponents will only get tougher. "Also, the venue will be new for everyone, so there's no on-court home advantage for us, though the crowd cheering for us will be a big plus." Srikanth also admitted that he looks up to his contemporaries Kento Momota, Viktor Axelsen, and Shi Yuqi, and admires their consistency. "Momota has done extremely well ever since his return from the ban. I think the last 16 months have been very good for him. He is very talented and skillful, while Viktor has been able to reach semi-finals and finals consistently. "Another player is Shi Yuqi, who has done extremely well. He has been in the top 2 or 3 for 13-14 months. These are the players who are able to do it consistently. I have been in top-8 for a while now, and I am working to be in top-4 consistently. I have been there for about a year, during 2017-18, and that is something that I am working on," he added. Among women, PV Sindhu will lead India's charge. The 23-year-old is seeded first owing to the withdrawal of China's All England champion Chen Yufei.